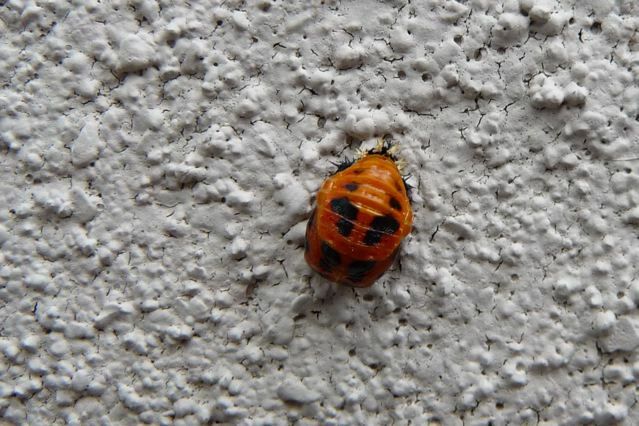 The top one is a ladybird larvae on an outside wall beginning its change….. 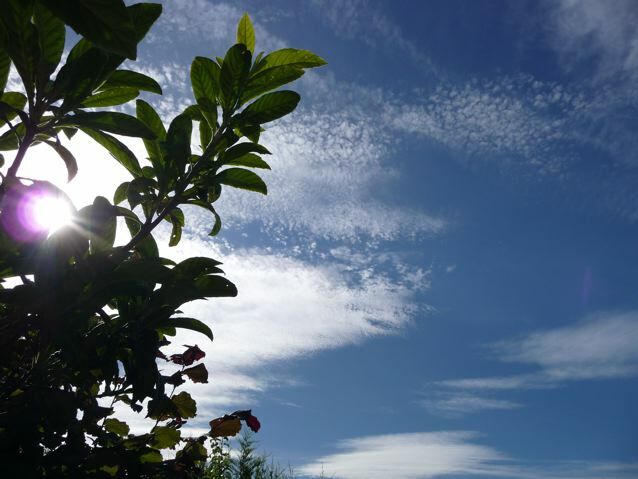 This entry was posted in Garden, Skies, Wildlife and tagged Bread, Jeffrey Hamelman Bread, ladybird larva, Mellow Bakers, pupa. french bread on 09/07/2010 by Joanna. We get lots of the larvae in our bathroom. Hope it doesn’t correspond with a huge swarm of the harlequins descending on our house in October to hibernate. 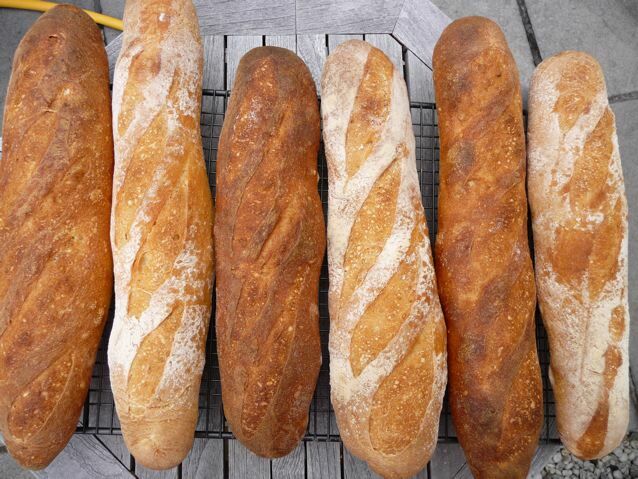 Your baguettes are beyond beautiful- I can almost smell them. You’ve been baking up a storm, lady…. 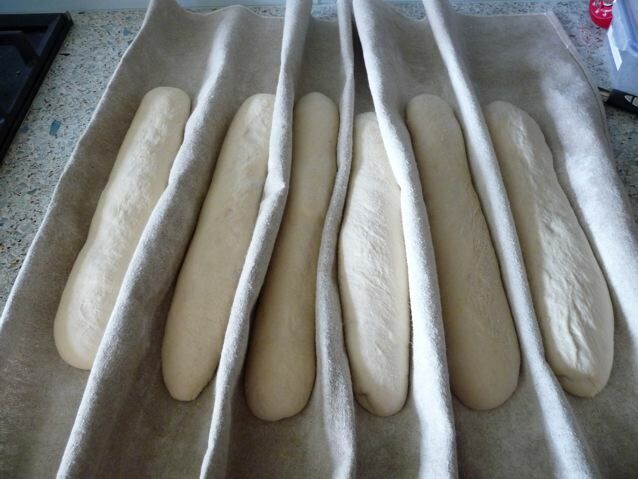 The grande illusion of some very ordinary French bread…. I will post about it properly soon… mais merci mes amies! I noticed ladybird larvae for the first time this year – they were on the basil I was trying to pick. Mine were at an earlier stage than your first photo and were completely grey and quite long; had to guess at what they might be and check online. It was interesting to watch them change. When they first hatch from the little yellow eggs they are tiny and black or grey and then they eat ferociously and grow like mad. Different colour ladybirds have different coloured larvae too I think. Suelle, did they clean the aphids from your basil? I’m a bit cross with them at the moment as now they are all pupating the aphids are coming back. I never knew what they were before I looked them up either. None indoors as yet, Annalisa, I’m keeping a close eye out for them…I’ve seen the pictures of those swarms in North Nofolk last year. Seriously though, they look absolutely beautiful and those slashes ….. I’m dead jealous! Joanna – there were no aphids on the basil, so either they’d all been eaten or these ladybird larvae were off piste! 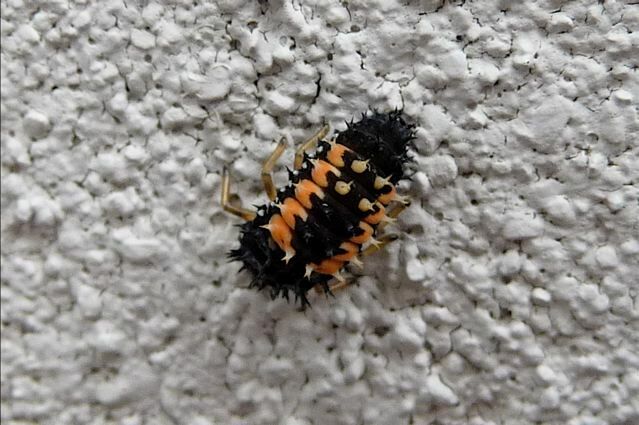 Amazing photography again – I’ve seen ladybird larvae, but never the transition. Your bread looks totally delicious as usual. Celia, I just read a ‘tweet’ from Nils in which he recommends brushing the slashes with water two or three times in the first ten minutes in the oven…. though how he doesn’t lose his temperature I am not quite sure, but his slashes are certainly very impressive and three dimensional! Those baguettes belong in a basket on a bicycle, cycling to a picnic…ah, how lovely. What an informative post – the different end result caused by the different flours is quite amazing. The floured surface shows up the slashing well on the ’00’ baguettes . The colour of the crust on the bags using the ordinary flour is lovely and the crumb, to my novice eye, looks better too (at least in the photo). I’m very curious to see what following Nils’ advice of wetting the slashes will bring …. but I would be worried about losing the heat, though perhaps baking on a hearth mitigates the temperature drop somewhat? Here the crazy temperatures are skewing everything bake-wise – Hamelman’s leaven starter for the Vermont ripened in just 5 hours on Saturday instead of the usual 12 to 16! The refreshment made with the two remaining spoons of starter went straight into the fridge and, for the first time ever, I see my white leaven is high as a kite at 4°c, where normally it is only the rye leaven that rises as well at 4°c as on the worktop! A learning curve ….